Associate Professor Breen received his B.Eng. Degree in Computer Engineering (First Class Honours) in 2003 and his Ph.D. Degree in 2007, both from the University of Limerick. His Ph.D. research investigated the application of Neuromuscular Electrical Stimulation for blood flow assistance. He was awarded a Government of Ireland Postdoctoral Fellowship in 2007 from the Irish Research Council for Science, Engineering and Technology to continue this work. In 2008 he was awarded a Postgraduate Certificate in Teaching and Learning in Higher Education from NUI Galway. He has worked in collaborator labs at Roessingh Research & Development, Enschede, The Netherlands and Harvard Medical School, Boston, USA and Western Sydney University. 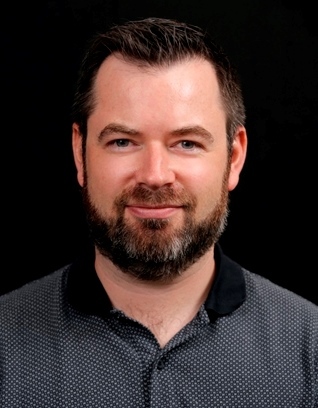 In 2012 Associate Professor Breen joined the Bioelectronics & Neuroscience Research Program at The MARCS Institute in the role of Senior Research Lecturer. His research interests involve investigating the potential of subsensory electrical noise as a treatment for the loss of sensory function. This work aims to restore lost neural functionality where it is impaired through neuropathy. He also has a long-standing interest in peripheral haemodynamics and the use of neuromuscular electrical stimulation to address the issue of chronic venous insufficiency and other peripheral cardiovascular conditions.